While the wildfires in Southern California approached some of the nation’s largest flower farms and hampered the ability for some employees to work, the Golden State’s farms are open and operating. 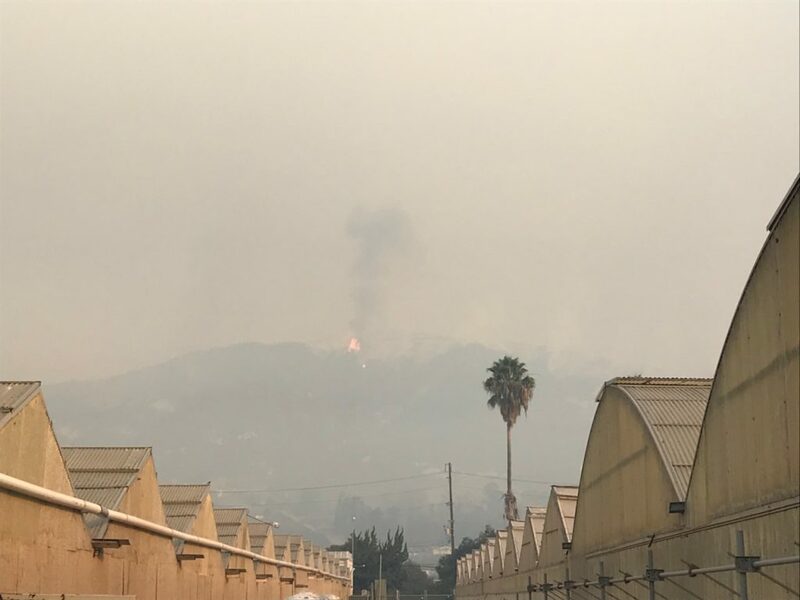 Flames could be seen on the hillsides from the nurseries in Carpinteria Valley on Monday morning. Photo by Ivan Van Wingerden of Everbloom, Inc. The Thomas Fire near Carpinteria, known as the nation’s flower basket, appeared to get dangerously close to some farms and nurseries. However, farmers in Carpinteria Valley confirmed that the fires appeared closer than they actually were. 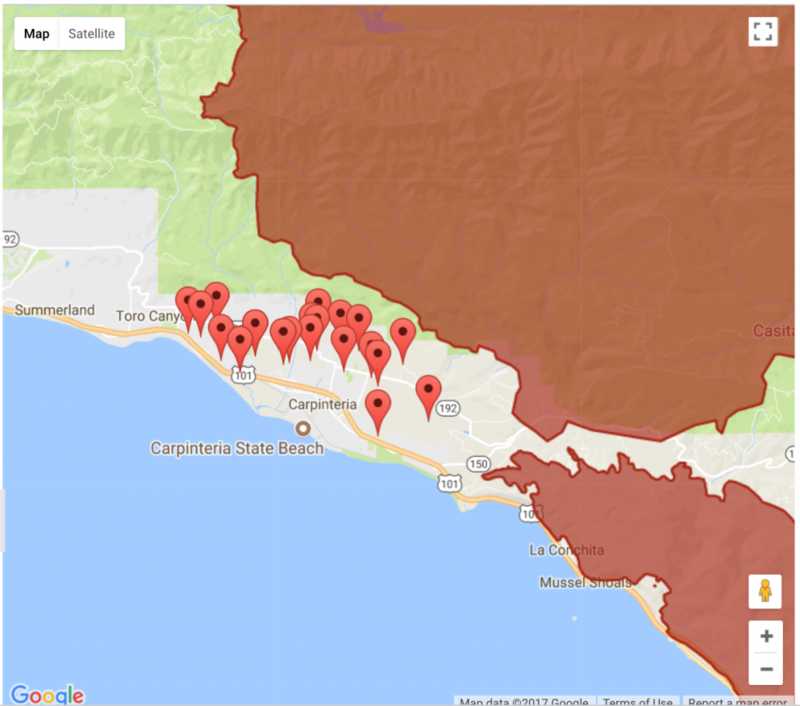 Interactive Map Highlights the proximity of the fire to the flower farms in Carpinteria Valley. 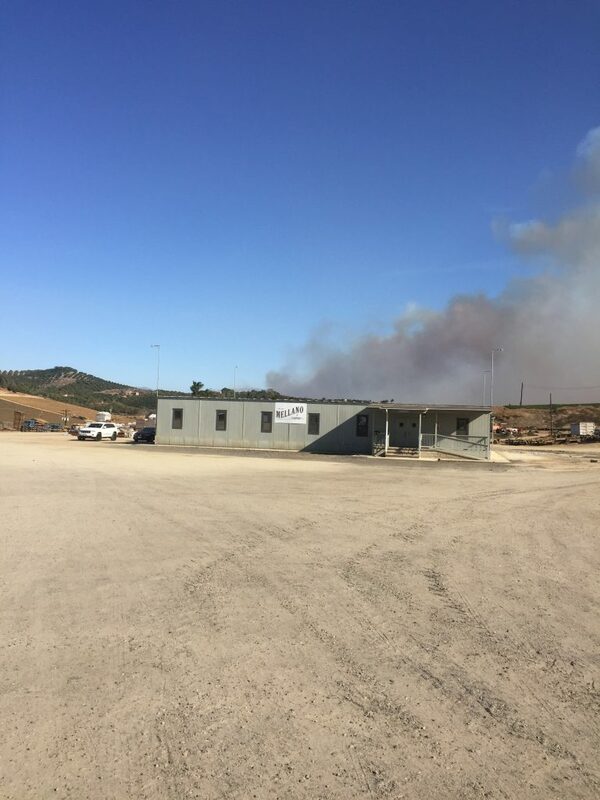 David Van Wingerden of Westland Orchid provides an update on the fire conditions near his flower farm in Carpinteria. Click to watch video. The Lilac fire near Oceanside came close to Mellano & Company’s farming operation late last week, forcing mandatory evacuations, road closures and some power outages. By Saturday, the power was back on and Mellano & Company was able to report no products were affected. An image from last week shows smoke from the Lilac Fire behind Mellano & Co. in San Diego County. Today, the farm is open for business despite some staff shortages and ongoing road closures. “We’re thrilled to report that California’s flower farms are safe, open and operating. Several very close calls last week had farmers worried, but today harvesting and shipping of flowers and foliage is going full bore at most farms,” Cronquist reported. Lilac Fire in San Diego County skirted, but did not harm, flower farm in the area. 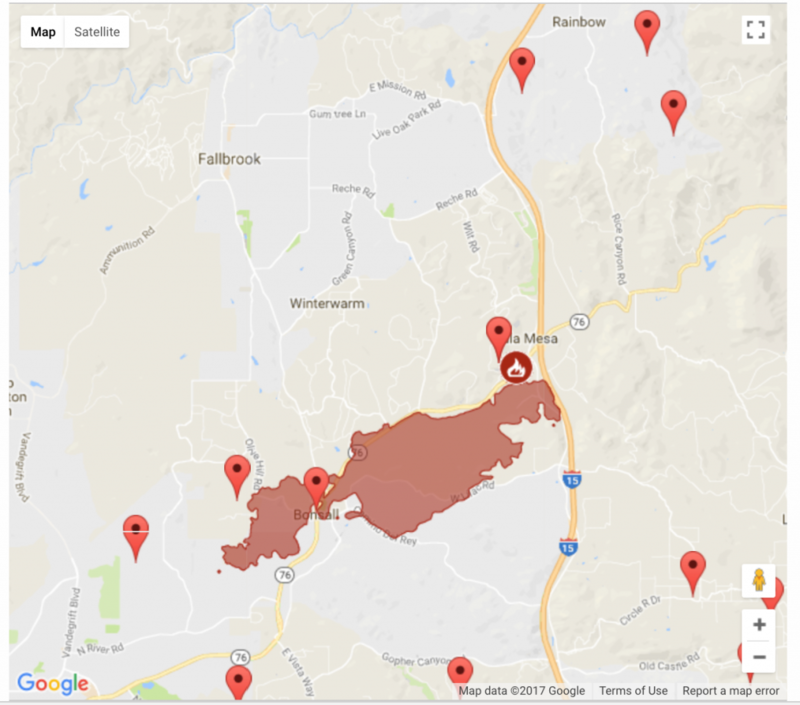 The CCFC will continue to update customers via Facebook Live and online at ccfc.org/fires, where readers will find a map of the fires and the nearby flower farms. 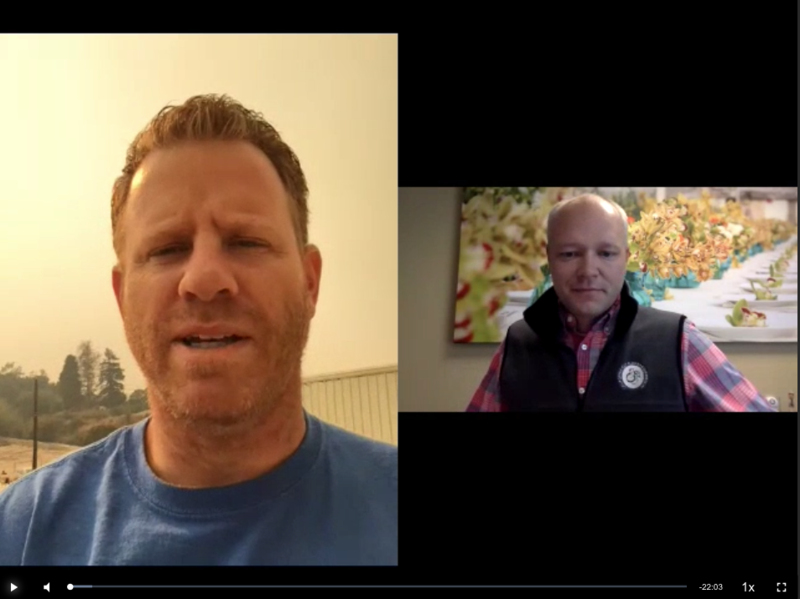 Kasey – Thank you for the terrific and informative update, as we all have have been worried about our many floral friends in the Carpinteria and North SD areas. It’s not over but the news is encouraging. Take care all! We too know fire in southern Oregon, it’s terrifying and very stressful on plants and people. Thank you California growers for showing your best farmer optimism and good cheer, all across the country we flower growers are thinking of you!